“I was working this mind numbing job earning close to minimum wage and staring down all this student loan money when I kept hearing all these stories from people who’d gone out west...I needed to give it a try." Omar has been thinking a lot about home lately. As a security guard working in the camps around Fort McMurray he’s far away from the home that he’s used to. His family first migrated to Canada in the 1980s from Alexandria, Egypt. 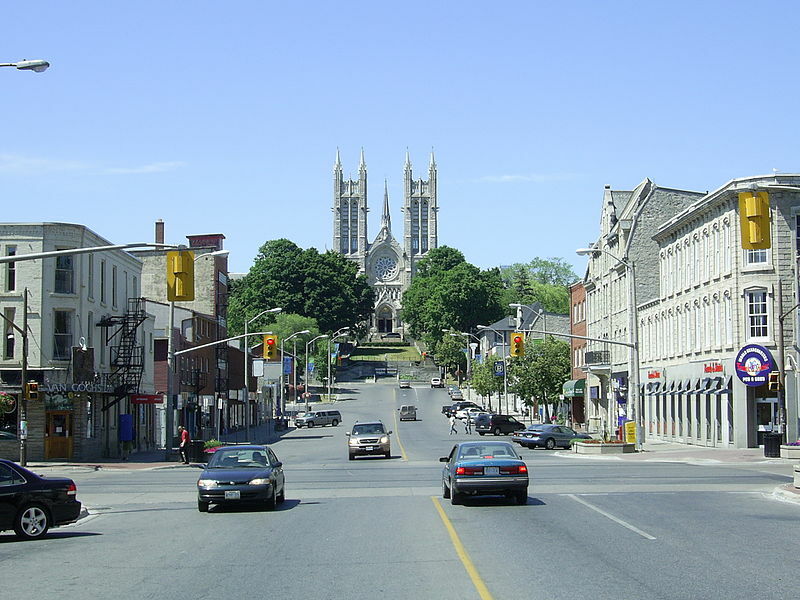 They eventually settled in Guelph, Ontario, after taking the advice of friends who had also chosen to settle in the same city. Given the difficult adjustments they had to make, Omar considers himself lucky in some ways to have been born after his parents’ arrival in Canada. Some of Omar’s older brothers still remember life in Egypt, but Omar is the youngest and hasn’t known a life outside of Canada yet. Despite being born here, Omar acknowledges that he was often made to feel different from the rest of his classmates as he was going through school. This became less of an issue for him as he got older but there were still moments every now and then when people would question his Canadian identity. Unlike some other kids of immigrants that he knew growing up, Omar usually handled these incidents by reiterating his Canadian identity and sometimes joined in on the jokes himself to prove he was just like everybody else. As he finished up high school, Omar knew that university wasn’t where he wanted to end up and enrolled in an electrical engineering program at a local college instead. College was when he started to work his first jobs as a security guard, taking part time opportunities at small shopping centres and industrial warehouses. As he got further into his studies there was increasing financial pressure looming from his student loans and he heard from a few classmates that there were opportunities out west in the oil sands. From what he heard, he could be working the same type of jobs that he was already working but with higher pay, up to $6000 or $7000 a month. Facing the impending student loan debt from his degree and bleak employment prospects in Ontario, Omar decided to take a chance and head out west after gathering some more information from friends at school and a few coworkers who had contacts in Alberta. He had never been to Alberta or anywhere west of Ontario and didn’t have many expectations of what it would be like. His goal was to make just enough money to get out of his paycheque-to-paycheque situation and so he could focus a bit more on finishing up his degree. His commutes aren’t as long as some of the other people he works with but nevertheless plane rides have become a normalized part of Omar’s work life. When he’s on his work schedule, which is usually twenty days in a row, Omar spends most of his days off crashing at friends’ places in Calgary and Edmonton, preferring the short flight over the bus when he can find a good deal from a discount airline. His commute becomes longer when the work runs out and he heads back home to Guelph, via the airports of Toronto and Hamilton. Omar still misses his family and the comforts of home. Although he’s gotten used to being in Alberta, coming home still gives him a sense of stability that his life out west doesn’t afford him. Omar spends some time visiting friends when he is back in Guelph, but he is also picking up a few work shifts here and there if he can get them — and if he can find the energy. He really tries to spend time with his family, especially his mom. She makes all his favourite foods, and tries to send some back with him. Omar’s mother doesn’t understand why he has moved so far, but his dad and brothers see it as a normal thing. His older brother recently got laid off, and has started asking questions about Fort McMurray. While Omar tries to warn him about the intensity of shift work, he insists he would prefer it to no work at all. Omar’s mom also asks him if he will finish his degree, and he avoids the conversation. How can he explain to his family that the steady income out west means it doesn’t matter if he has a degree or not? Moving out west required Omar to change how he lived his life in many ways – his first time truly on his own without family to watch over him. Not only did he have to get used to the new rhythms of shiftwork but he also had to become more independent. Despite having moved away from home already, he had been living with close friends who often picked up the slack for him and weren’t too uptight about the rent, not to mention his parents usually checked up on him and helped him out with food and cleaning. With a significantly larger paycheque coming in each week, Omar finds himself going out a lot more with coworkers, which has helped him make many of his new friends. While Omar’s partying habits don’t distinguish him much from the average person in their early 20’s, the realities of rotational work bring about a more practical reason for staying up late. Faced with a quick transition from a “normal” daytime-oriented schedule during his time off to the demands of the night shift at his camp security job, Omar has taken up the routine of getting into Fort McMurray a day early and “going all out” (and all night) as he puts it, so that his body gets used to resting during the day and staying awake throughout the night. On top of that, the rotational nature of his work makes his commute home difficult, coming off a solid two weeks of night shifts he is rarely able to sleep on the bus. Despite the relatively short distance that Omar commutes to either Edmonton or Calgary, the mental and physical demands of the rotation intensify the commute. A short trip after weeks of work can feel like crossing multiple time zones, jetlag and all. A good amount of Omar’s downtime is spent catching up on rest and trying to get back into a regular schedule, as brief as it might be for him, but he also makes sure to get out and make the most of his time before he has to head back. When he first came out west he told himself he would heed the advice of his parents and some of his older coworkers when it came to saving up the money he earned in the oil sands. It wasn’t his intention to get so hooked on the nightlife but it helps to keep him going and to take the edge off of the demands from his work. He certainly doesn’t miss the days where he was working similar jobs and getting paid minimum wage. Though his partying and spending habits are starting to chip away at the gains he’s made, Omar looks at the reality of facing the open job market in Ontario and is happy he took his chance to come to Alberta. Omar’s shifts are usually 10 hours long and his shift work sees him work up to 20 days on and 20 days off. Depending on the security company he is with, schedules can shift. Sometimes he finds himself with even less time off but with the same length of work. As part of work he’s required to keep up a high level of fitness, not only in terms of strength but also stamina to make it through a long shift and stay alert on patrol. The intensity of the work during his shift can also depend on the company he’s with and the camp he’s assigned to. The dry camps, where alcohol is not permitted, tend to be more easygoing compared to the others. Things tend to get rowdy when alcohol is permitted but with the other security guards it’s usually a manageable task – and he understands the need oil workers feel to let loose. Even though he fits in with most of the other young workers at the camp and likes talking sports and being social with people, Omar has had some eye opening experiences. Despite having some authority as a security guard in the camp, he has felt hostilities from workers in the camp when topics of immigrants come up in discussions and he’s the only person of colour in the room. A lot of his co-workers come from similar backgrounds as himself, being either first or second generation immigrants, but there are fewer people from diverse backgrounds in upper level management positions. He tries to tune things out whenever he comes across someone making a racist remark in camp or trying to stir things up but he finds it harder to just play along these days with the culture of the camp. Omar likes the money he’s making, but finds himself spending a bit too much of it on his days off. So, he’s started to pick up more shifts with the company. The decreased down time has added new stress, but he’s finding it hard to scale back at this point. "I'm happy to be working here but this isn't where I'd like to see myself ten years from now. Some of the people I've met have talked about moving into other parts of the industry here in the oil sands, but I still need to figure out what I want to do. I'm hoping that something works out in Ontario but I wouldn't be surprised if I'm back here in a few years." Omar is starting to think about life beyond the oil patch these days. Omar has enjoyed getting a new experience and has figured out a few ways to manage the rotational shift work, but he can’t see himself living on this lifestyle as he gets older and doesn’t know how long the work will actually be there. On the advice of some older guards in camp he’s thinking of applying to be a supervisor, but doesn’t want to give up on his goal of going home to Ontario to finish his degree so he can test the job market once again. With his experience in security, he’s also thought about taking an entirely different route and entering the police academy, as he’s seen other people do. Looking towards an exit from this lifestyle, Omar has some small regrets about not being more responsible with the money he made, but he hopes a new page and an adjusted lifestyle can help him enter into bigger and better opportunities in the future.